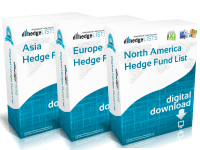 The Commodities Hedge Fund List contains detailed contact information for more than 670 commodity hedge funds throughout the world including, the US, UK, Switzerland, China, Japan, and more. 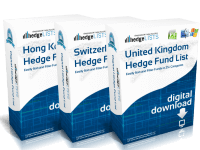 Includes everything from the top commodity hedge funds to smaller boutique funds. 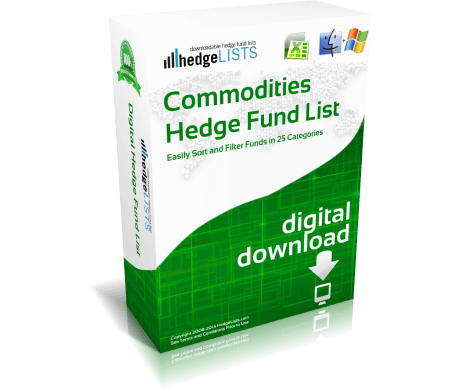 Download this detailed list of commodity hedge funds in .xls (Excel) and .csv format. We are constantly updating our lists. 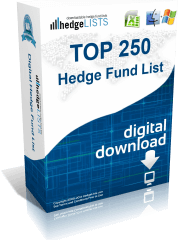 Every 30-60 days we will send you a link to download the latest version of the commodity hedge fund list. You will never be billed for updates. Maybe lacks some info found in the four figure lists, but for the price I am quite satisfied. For what it provides the list is very good. But would like performance info. 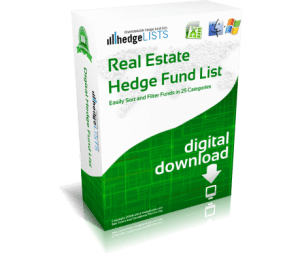 Commodity list is very thorough. Lots of emails for management which is why I purchased. Love that this is in Excel. 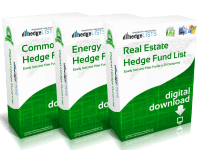 Been researching commodity funds for a research paper. Thanks!